Congratulations to our 2009 Fellow, Masako Kurita for receiving the Shining Women (Kagayaku Josei) Award from the Gunma prefecture in November 2015. 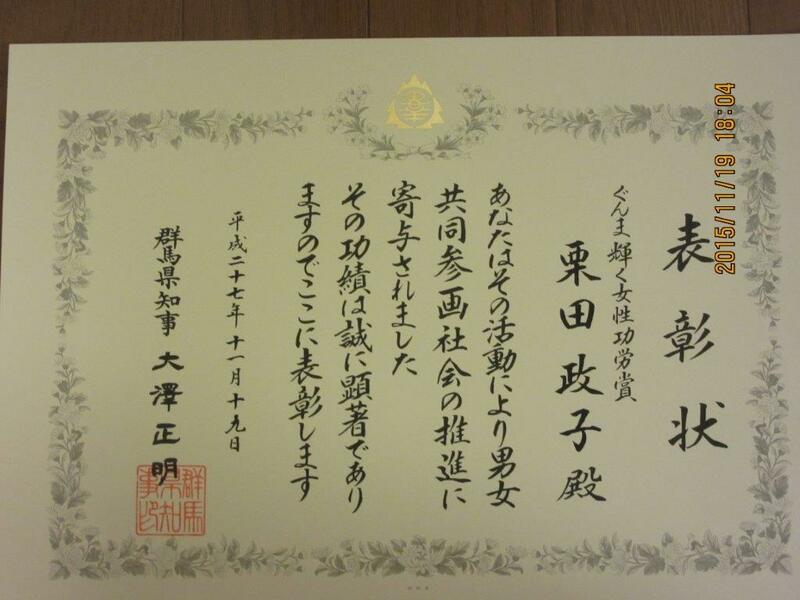 The award was given in recognition of her 15-year work on women’s empowerment in Gunma. 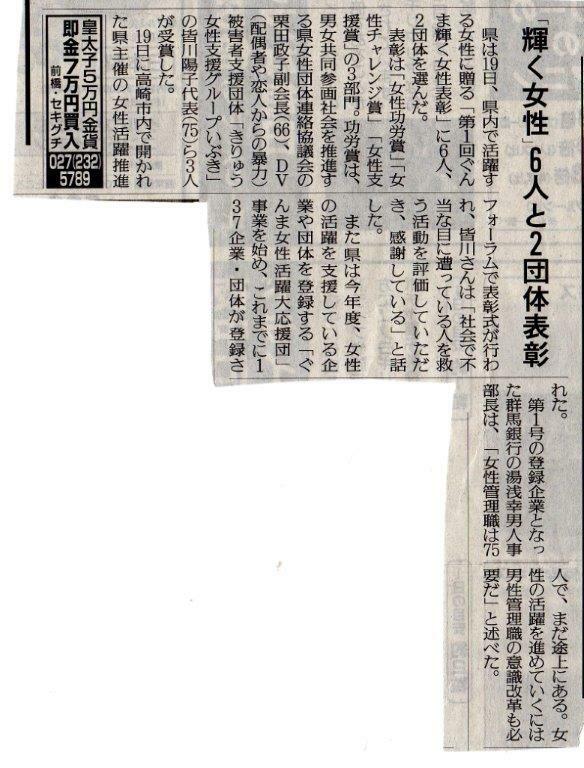 Masako plays an important role in advancing women’s empowerment in Gunma. She has served on the board of Gunma Prefectural Women’s Liaison Group and Ayumi-no-kai, an organization that supports female foreign residents. She is also a member of the Japanese Association of International Women’s Rights. Masako is currently concentrating her time and efforts on Women’s Will Gunma, which she founded to promote active civic engagement and political leadership among women and gender equality. She has advocated for women’s leadership through hosting lectures, workshops, and courses that encourage women to be active participants in society. November 7, 2015 / Tokyo, Japan – This year’s JWLI program started on September 8th and ended on October 6th. For the first time ever, our Fellows – Akiko Ishiyama, Yuko Nakaoka, Junko Tsuda and Kei Yoshidome – developed their Action Plans during their regular schedule of visiting our host organizations and participating in an intense 5-day Simmons College course in Boston. They gave impressive and nerve-racking presentations in front of a panel of experts, followed by a Q&A session. This exciting change has helped our fellows be more than ready to host the reporting event, together with past JWLI Fellows in Tokyo on November 7th. During the event, the 2015 Fellows discussed their learning and experience with our host organizations. They also presented their Action Plans. Despite that the event was held on a beautiful Saturday, nearly 100 people attended the event!